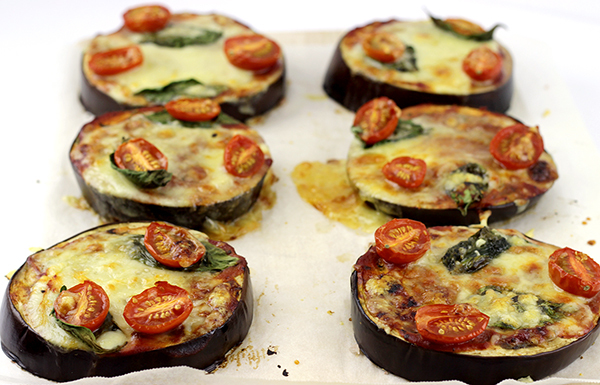 Fun and simple, these mini eggplant pizzas are a delicious entrée or light lunch. Arrange the sliced eggplant on a lined baking tray. Drizzle with a little olive oil and sprinkle with salt to taste. Remove the eggplant from the oven. Spread enough pizza sauce over each eggplant to cover. Top with a slice of boccaccini, the tomato and basil and sprinkle over the parmesan. Place under grill and grill for 3-5 minutes or until cheese is bubbly and golden.